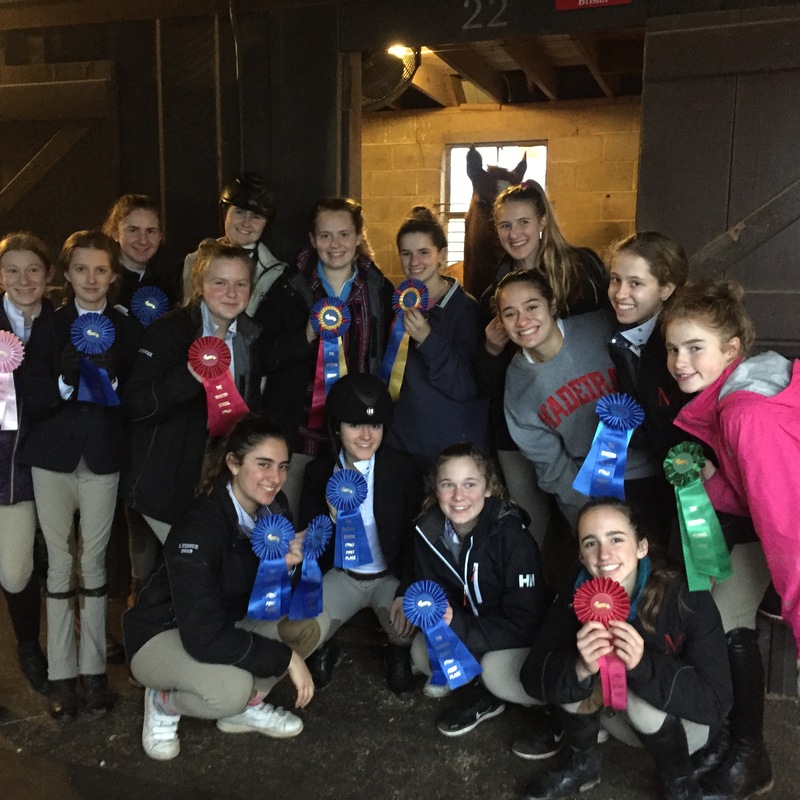 Varsity IEA had a great home show Saturday, finishing champion overall with 41 points! Bridget V ’19 placed 6th over fences and 3rd on the flat. Grace F ’21 placed 1st over fences and 1st on the flat. Ava B ’19 placed 2nd on the flat. Maggie M ‘22 placed 6th over fences and 2nd on the flat. Izzy M ’21 placed 6th over fences and 6th on the flat. Samira F ’19 placed 1st over fences and 1st on the flat. Ella S ’21 placed 1st over fences. Mikayla C ’20 placed 1st on the flat. Maya W ‘22 placed 1st on the flat. Julia S ‘21 placed 2nd on the flat. Our top three climbers with equal points were Laura S ‘19, Viv G ‘19 and Grace T ‘21. 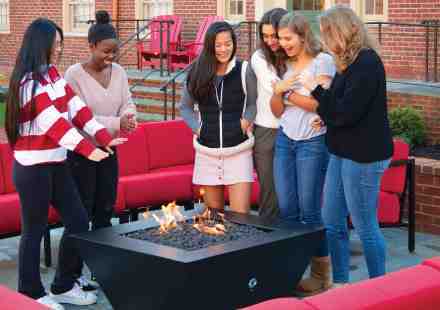 The girls climbed very well, outscoring the Bullis girls team 84-87. Our team was paired with The Heights boys team, who also defeated Bullis’ boys. We have a strong group that is off to a strong start this season, already exceeding their achievements from last year. Our team doubled in size this year and has embraced this new environment with a great attitude and camaraderie. The girls continue to push one another daily, and we’re hopeful that this perpetuates further successes throughout the season. The Snails hosted a true nail bitter Thursday evening, ultimately falling to Episcopal by 3 points. Marin H ’22 lead the way with points. Despite the score, the Snails worked hard each play. The Snails showed Potomac they were not going to give up and held them to 2 points in the final 8 minutes of the game. After a deflating loss to Potomac the Snails were determined to bounce back. Jordan H ’20 led the way for the Snails with 8 points and Michaela J ’22 led the Snails with 8 rebounds and several defensive stops in the paint. Lauren G ‘19 led the way with her defensive intensity right out of the gate, leading all scorers with 10 points, 5 steals and 2 assists. Amara E ‘20 had a nice game contributing 9 points, 2 assists and 2 steals and Cayla W ‘21 led all rebounders with 14 boards. The Madeira Swim and Dive team's record for the 2018-2019 Winter Season is 4-0. Their next meet is Thursday, January 10th at Holton Arms at 4:30 pm.